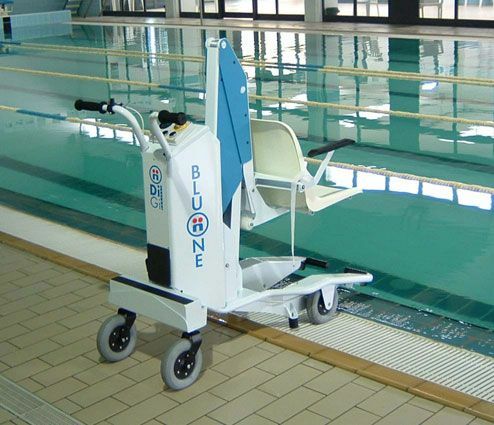 Mobile Poolside Lift For Use At Swimming Pools. 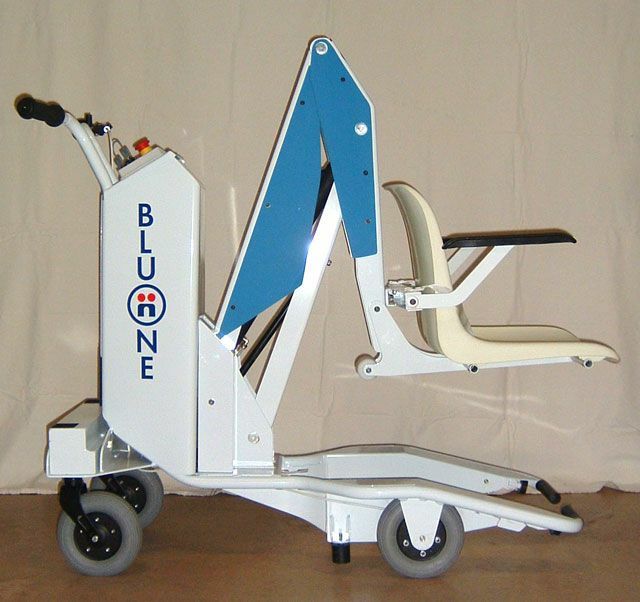 The Mobile pool lift can transfer people to and from pools, dressing rooms and other places in an easy, smooth and safe manner. It'sto use, the person simply sits on the seat at the front and is pushed to the edge of the pool. Simply operate the brake and lock in position, press the down button and the swimmer is lowered into the pool. 1 Key starter and Emergency Stop Red mushroom button. 2 Handbrake. The up and down controls will not operate unless the handbrake is set. 3 As the arm lowers two stainless-steel rubber capped supports provide additional stability. 4 The lift is equipped with an emergency manual pump. Use it in case of Electrical power failure. 5 Rubber stoppers between front and rear wheels to prevent the lift being able to be pushed into the water. Power: 24 V. rechargable battery with approx 40 cycles per charge. Seat Belt (two point) provided as standard. Four point body harness also available. 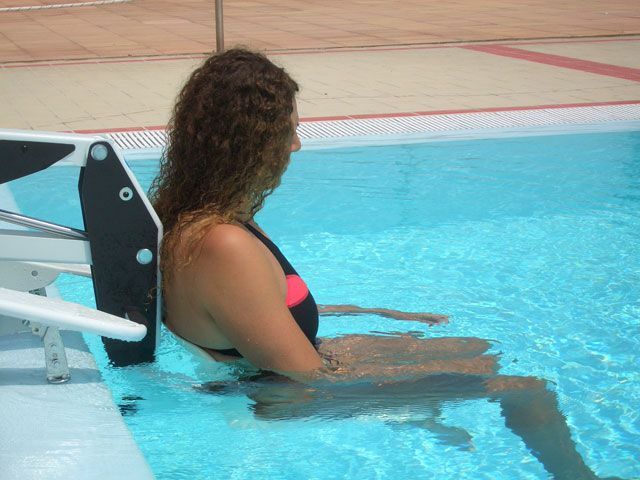 The Mobile pool lift works by a person sitting on the seat at the front and being pushed to the edge of the pool from a dressing room or elsewhere. The brake is then set and locked in position, the 'down' button pressed and the swimmer lowered into the water. Please note that the lift will not operate without the brake having been engaged prior.